Are you seeing any cost savings from using Google Apps? We’re saving more than $42,000 each year with Apps, since we no longer have to maintain email servers, storage or licensing software. That’s not even including all the time we’re saving our IT team, since they no longer have to waste hours clearing out full email inboxes and resolving downtime issues. What are you personally most proud of when you look back at how Littleton has changed since moving to Google Apps? I love seeing how the technology empowers our students. Google Apps are great equalizers – regardless of their home situation, every student has the opportunity to learn with Apps. These tools, paired with the skills students gain in school, are universal and will serve them for the rest of their lives. It’s so inspiring to me and all our teachers to see the students light up and become masters of their own direction. LPS students create 20,000 Google Docs every month as a normal part of their learning. One cannot underestimate the power of collaboration. Any given feature set of a software or cloud application will evolve over time, so the specific skills are not as important. But the habits of mind that one develops by working with collaborative documents are truly different than what a 20th century education encouraged. Collaboration means inclusion; inclusion means more brain power applied to a problem; more brain power means better solutions; and better solutions produced by an inclusive process means better overall understanding. What more could any educator hope for? Editor's note: Today’s guest blogger is Dr. Dan Maas, Chief Information Officer for Littleton Public Schools, a school district just south of Denver, Colorado, with 15,000 K-12 students across 13 elementary schools, 4 middle schools, 3 high schools, several alternative programs, a preschool, and 2 charter schools. Check out their case study to learn more. 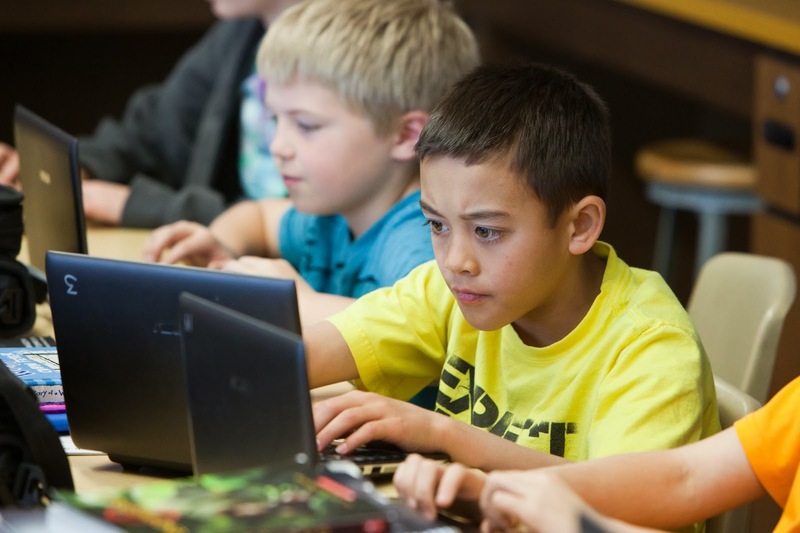 What motivated Littleton Public Schools to move to Google Apps? Students today are growing up in a different educational world. Online tools have fundamentally changed how today’s kids learn, interact and work with each other. Moving to Google Apps was a natural step in creating a modern learning environment for our students, because the tools are intuitive and familiar to them. Before using Google Apps, the district was hosting email servers for teachers and staff, but had no collaboration tools and homework was done largely by emailing attachments or making paper submissions, a cumbersome process. Our top priority was to address these challenges. LPS buildings average 50 years in age, but with Google, the learning is in the cloud. How is the district using Google Apps now, nearly two years after deployment? Today, every Littleton staff member, teacher and student in 4th grade and above has a Google Apps account — some schools have even started introducing their kindergartners to the Google tools. Adoption has been incredible across the board: during the 2011-2012 school year, Littleton students created more than 200,000 new Google Docs, and by the spring of 2013 they were averaging over 20,000 each month. Are there any teachers or departments in particular that have embraced Google Apps in innovative ways? I'm inspired by literally hundreds of classrooms in our district and how they're using technology to help their students learn. Katie Christie’s 5th grade class at Runyon Elementary School, for example, is using Apps in a particularly impressive way as part of the "Inspired Writing" initiative. The curriculum revolves around a Google Site that houses learning objectives, resources and videos, assignments, student and teacher work. Mrs. Christie posts assignments daily on a Google Calendar, which is embedded into the class’s Google Site and can even be added to a student or parent’s personal Google account. Google Docs lets students do different kinds of creative homework, including using Google Drawings to creating flowcharts for a book report and relying on Presentations to collectively create and speak to a deck about astronomy. It’s validating for us to know that Google holds her work in equally high regard — Mrs. Christie was recognized as a Google Certified teacher last spring. Even second graders are using Apps for writing projects like pen pals among multiple schools, where kids don't write together several times a year, but several times every day.